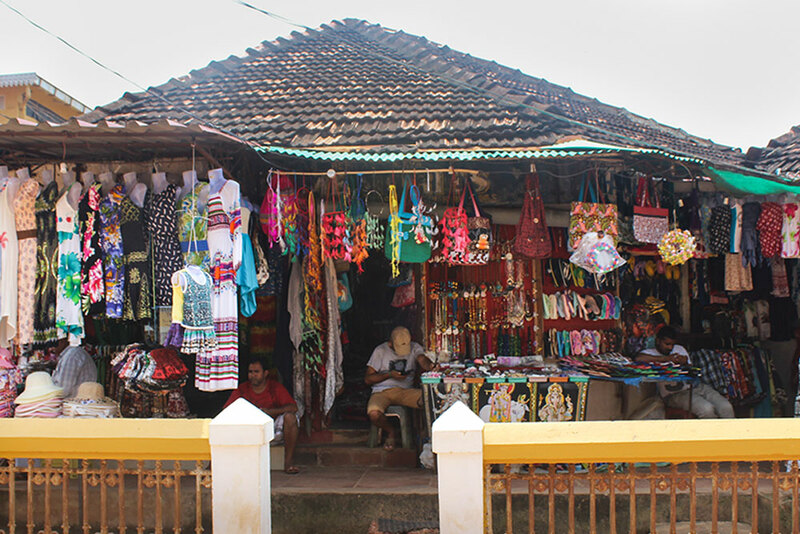 Calangute market is packed with stalls and shops that sell a wide range of items. 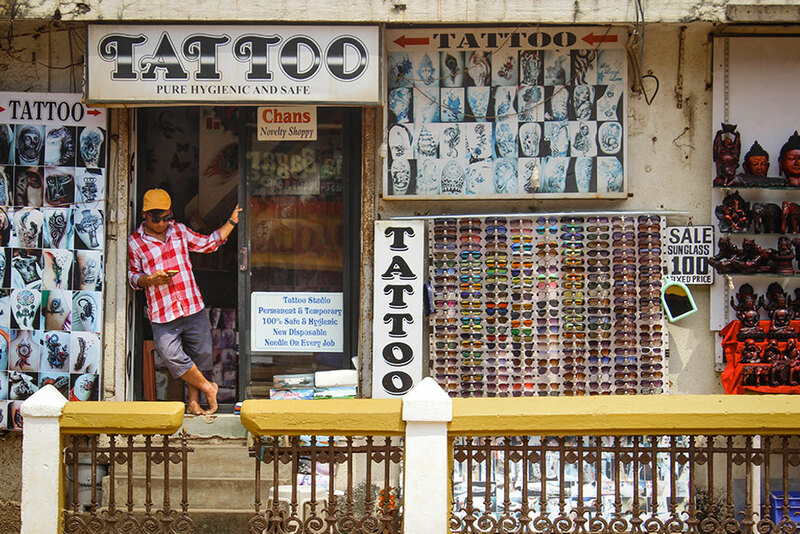 The market is full of tattoo parlours. 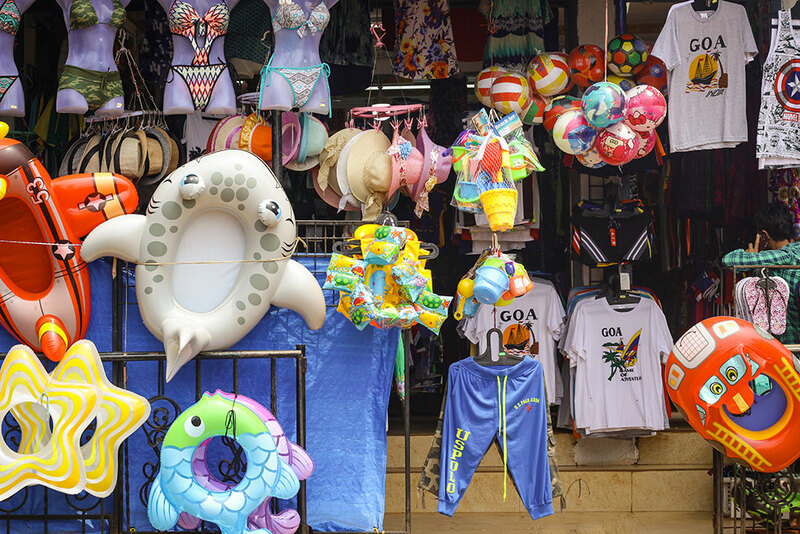 Located at the shore of Calangute beach, a lot of shops sell beach accessories. Fresh and raw cashews from Goa are the best in the country. 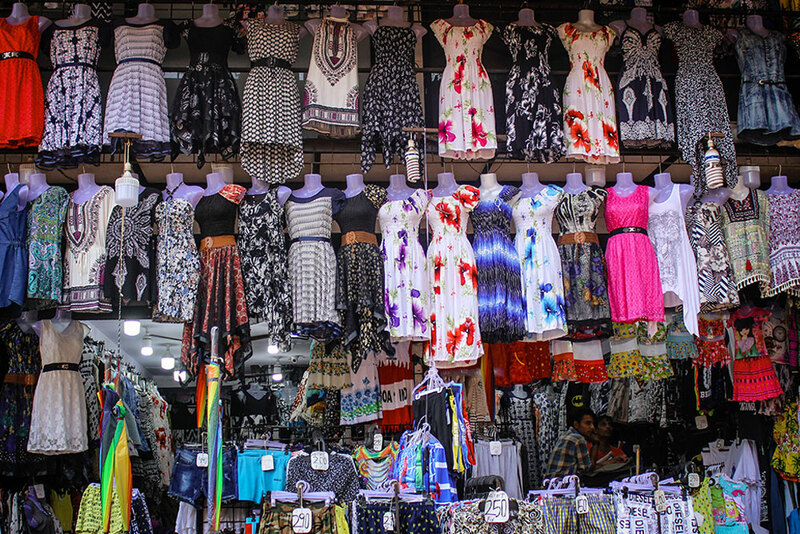 Endless array of colourful dresses. 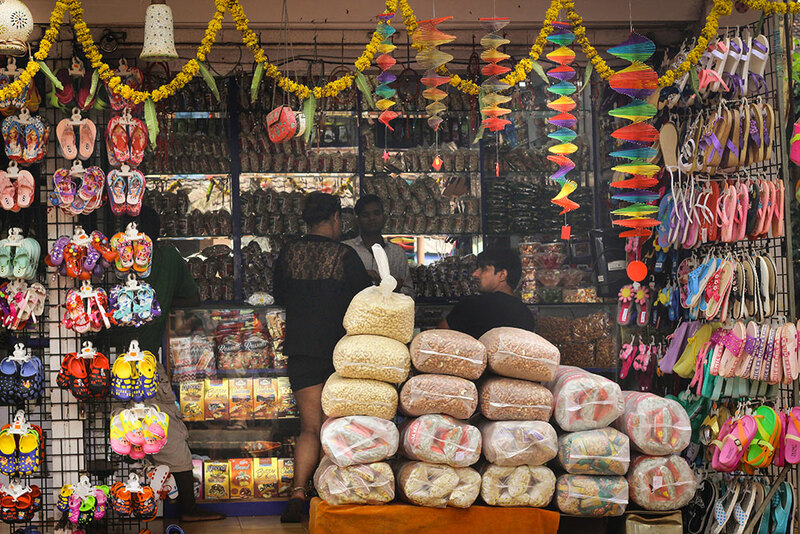 Entire road in packed with shops. 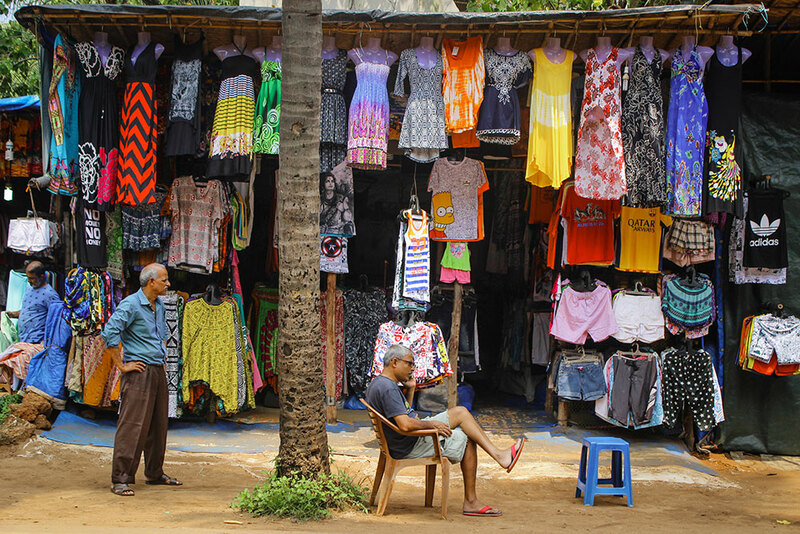 Shops selling beach shorts, sarongs, kaftans and dresses. 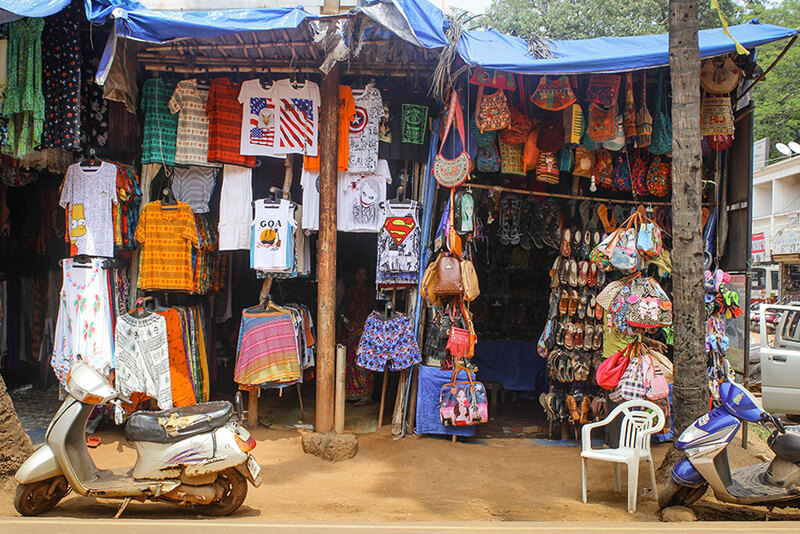 This famous tourist destination is not complete without the stretch of small kiosks and stalls. 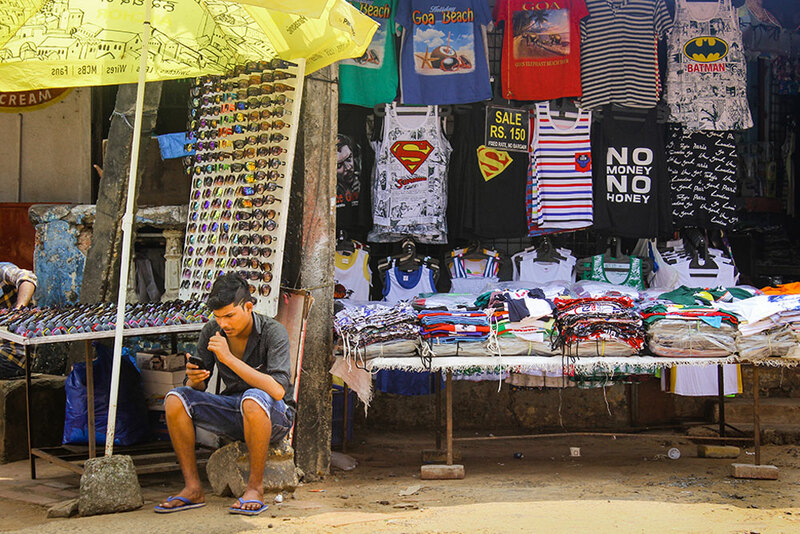 Most of the items come from traders from all over the country. 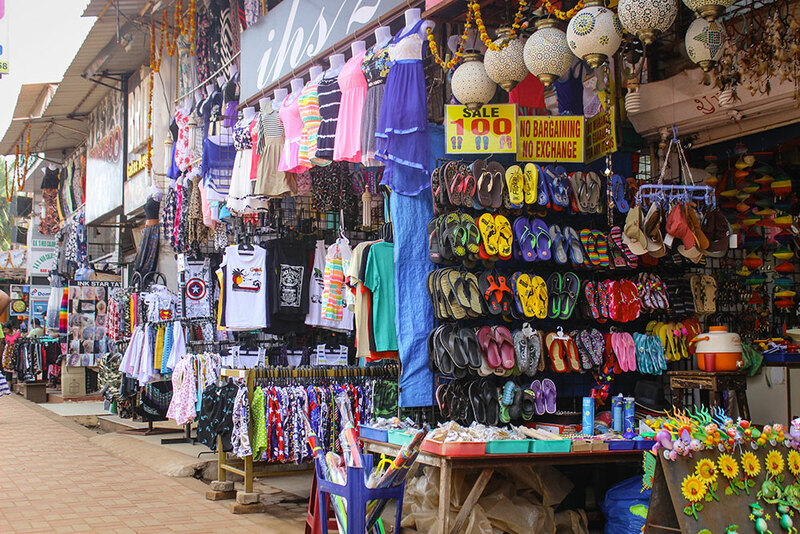 The road leading from bustling city to the calmness of the beach at Calangute is a shopper’s paradise. 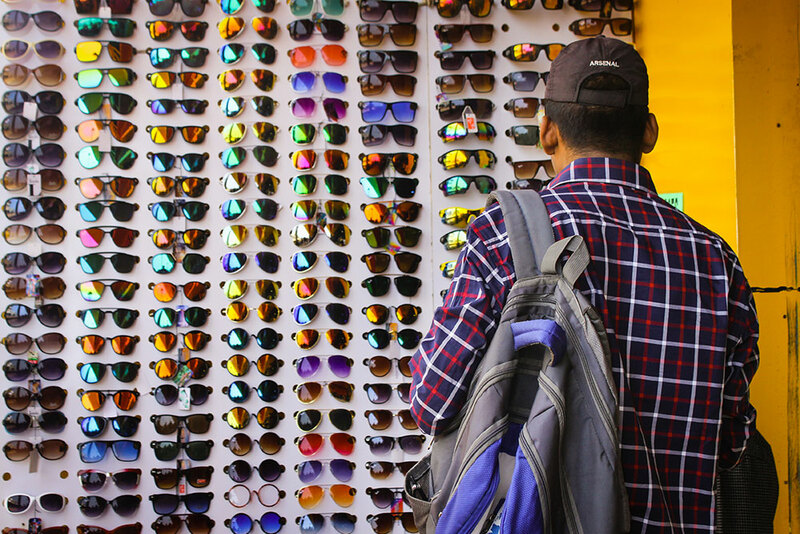 The market is a highly commercialised and offers all kinds of gems and jewellery, clothes, carpets, embroidery, souvenirs and other merchandise. 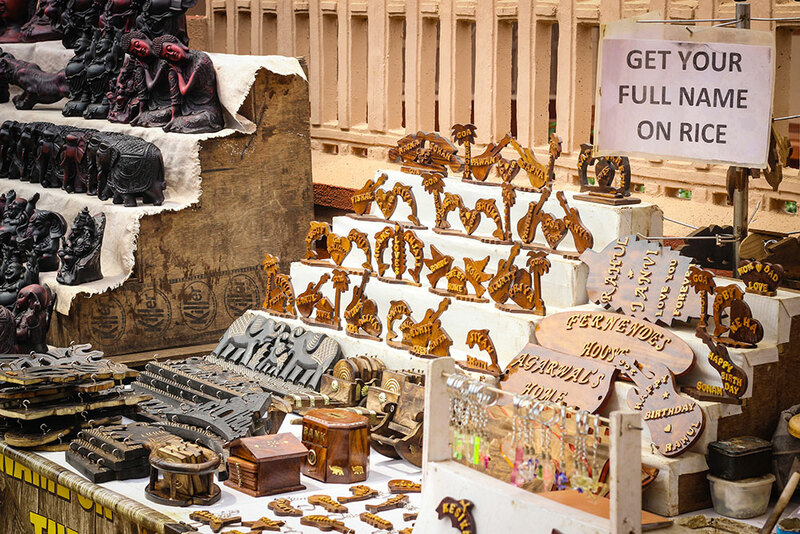 There is also a Tibetan market here where you can find plenty of beautiful silver jewellery items and incense.